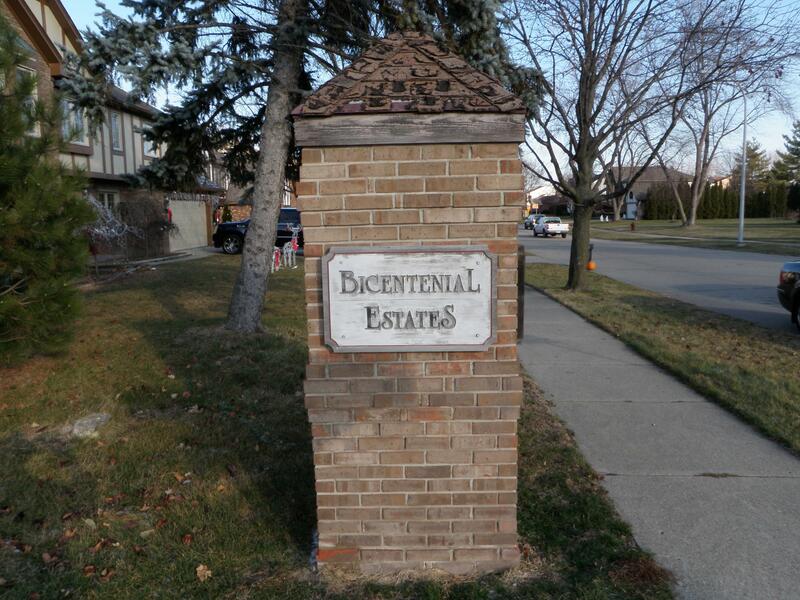 Welcome to Bicentennial Estates Livonia Michigan web-page written by Livonia real estate agent Bob Jakowinicz. The idea of this page is to give you some general information about the sub and the city of Livonia. Bicentennial Estates is Located at 7 Mile and just west of Gill Rd in northern Livonia Michigan. There are approximately 137 residential homes located here which were built mostly in the 1980's. The local school district for the area is LIVONIA PUBLIC SCHOOLS and LIVONIA STEVENSON is the local high school. Bicentennial Estates borders are Deer Creek to the north, Cane Woods and Windridge Village to the east and Bicentennial Park to the west. If you are looking to buy or sell real estate in the area please feel free to contact us anytime at BOBANDTEENA@YAHOO.COM or call/text at 734-578-6561 we would love to assist you with all of your future real estate needs.